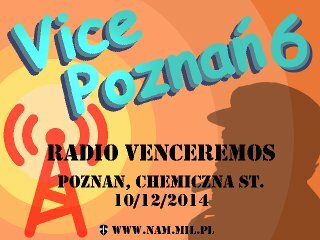 The latest Airsoft meeting from our oldschool Vice Poznań series is scheduled to take place on Sunday, October 12, 2014 in Poznań at Chemiczna St. The event is especially recommended for fans of the climate of 1980s and early 1990s. The meeting will be loosely based on the armed conflicts that raged in Central America and the Caribbean during the last decade of the Cold War. Details for English-speaking Airsoft fans are available via email.